← How much is your email worth? I was remiss in not posting a digest of June articles so here’s a bumper edition listing all of the articles posted to WindowsITPro.com during June and July. In passing, I should also point to my 4,000-word plus in-depth review of Exchange 2013 posted on WindowsITPro.com on July 23. This article had been in the works for quite some time and was ready to go when Microsoft surprised the industry by announcing a preview edition of Exchange 2013 alongside the other products in the Office 15 wave. WebReady security vulnerability reveals complexity of modern software engineering (July 31) discusses how software depends on many complex links. In this case, a security issue was discovered in a software library licensed to Microsoft by Oracle that affected the WebReady document viewing feature used in Outlook Web App (OWA). Microsoft hasn’t yet given an ETA for a permanent fix, so for now all you can do is disable the WebReady feature. Workcycles and the Managed Folder Assistant (MFA) (July 26) is an article that’s been in my queue for about six months. It never quite popped to the top of the stack because other more pressing topics demanded commentary. This article discusses the change Microsoft made in Exchange 2010 SP1 to move background maintenance processing to a more sensible auto-throttled workcycle basis rather than confining work to a limited period. First impressions of Outlook 2013 Preview (July 24) provides some initial reaction after using Outlook 2013 Preview for a week or so. This wasn’t just a test. I actually connected Outlook 2013 to my “production” Office 365 mailbox and used it exclusively to find out what I liked and didn’t like so much. See what you think. Microsoft finally sees sense about multi-mailbox searches (July 19). I always thought that Microsoft’s decision to make any mailbox liable to be searched by a multi-mailbox discovery require an Enterprise CAL was pretty dumb. After three years or so, the folks in Redmond saw the light of day and have changed the Product Use Rights (PUR) for Exchange 2010 (and Exchange 2013, I assume) from October 1, 2012 to remove this requirement. Score one for common sense. Installing Exchange 2013 Preview (July 17) provides some notes about how to go about installing the Exchange 2013 Preview release on Windows 2008 R2 SP1 servers (I didn’t try the operation on the newly-released to RTM Windows 2012 Server). The upshot is that the install works fine as long as you pay attention to the prerequisites, including a number of hot fixes. Exchange 2013 and Outlook 2013 preview versions debut (July 16) is an article written in a rush and with some surprise after Microsoft released Exchange 2013 and Outlook 2013 preview versions without notice. Of course, I have been tracking the development of these products for a long time but the rush to release a preview edition into public came as a complete surprise. Score one for the “let’s keep it secret” camp inside Microsoft marketing as the surprise generated a reasonable amount of excitement that I’m sure Microsoft was very happy to see. The Bad Item Conundrum (or, how much data would you like MRS to drop?) (July 12) – I like the Mailbox Replication Service (MRS) a lot and think it’s one of the real success stories in Exchange 2010. However, MRS is quite picky about “badly formed MAPI items” and will refuse to move them to a new mailbox. This is OK if you’re happy for MRS to clean up the sins of the past and remove these items. It’s not so good if a mailbox has a lot of items that MRS doesn’t like. Research proves that stupidity is a major factor in 419 email scams (July 10). Don’t you just love when hard-baked serious research proves what common sense tells you? Well, in this case, a Microsoft Research white paper demonstrates with lots of serious maths why spammers and scammers look for stupid people to respond to their pleas of untold wealth if only you’d get in touch. Exchange Remote Connectivity Analyzer 1.4 is released – a wonderful tool (July 5). Version 1.4 of ExRCA has appeared and it’s a very nice tool – clearly something that all Exchange administrators should get to know. This article discusses some of the latest features and explains why ExRCA is so useful. Counting mailboxes (July 3). Google got very excited when they reported that Gmail had accumulated 425 million mailboxes. I wasn’t so excited because I wondered just how they counted all the mailboxes and figured out what mailboxes are in use and which are not. The good news is that there are many scripts available on the network available for administrators to download so that they can generate reports on the mailboxes that they manage – and this article points to a few that you might like to consider. Dell wins Quest (July 2). On June 5, I noted in a previous article that talks between Dell and Quest had fallen through and that this probably wasn’t such a bad thing as many corporate acquisitions run into choppy waters during the integration process, including the loss of much of the talent from the acquired company. But Dell was persistent and they put enough money on the table in the end to persuade everyone that they should win the right to incorporate Quest’s large software portfolio into Dell’s line-up. We shall see how this goes as the integration process proceeds. Managing customizations for Exchange (June 28). Exchange provides zero facilities to track customizations that you might make to components such as the transport configuration file. Many of the files are server-specific anyway, but given that ALL-IN-1 2.3 (1988) boasted a complete Customization Management system, don’t you think that we could have a better answer in Exchange some 24 years later? Demands of cloud mean on-premises deployment strategy must evolve (June 26). Have you noticed that Microsoft issues updates at an increased rate these days and that some of the Roll-Up Updates for Exchange 2010 have begun to introduce features and functionality that might have been reserved for service packs or even new versions in the past? The big difference is that Microsoft has to feed the Office 365 monster with new features so that its rate of change is as impressive as its Google competitor. The upshot is that some on-premises administrators now struggle to match Microsoft’s new pace. Is this a problem? Well, decide for yourself. Is Office 365 suitable for small companies? (June 21). 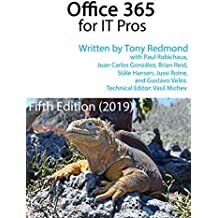 A commentary in the UK Register asked whether Office 365 was suitable for small companies because of some difficulties that the author had encountered in their work as a consultant helping companies to migrate to Office 365. I found some good and not-so-good comments in the article. My own conclusion is that Office 365 is highly suitable for small companies, which is why I use it. Mimecast issues “shape of email” report (June 19). Mimecast is a very reputable company working in the email space. They put out a report purporting to analyse how people use email, which is an interesting topic for debate given the many ways that we have to communicate today. My problem was the underlying source of data used to determine the statistics described in the report. See what you think! Upgrading to Windows 8 Release Preview affects Outlook’s safe senders list (June 14). I tend to be cautious when someone reports a problem when running a pre-release version of software simply because it’s impossible to know whether the circumstances that they encountered would be the same for anyone else. You should be cautious too when reading this piece describing how my upgrade to Windows 8 Release Preview wiped out Outlook’s safe senders list, which seemed odd to me. The Story of Send (June 12). I emphatically did not write this piece to fill space, nor did I do so because I was blown away by the wonders of Google’s cartooning skills. Rather, the serious message in the story was the power efficiencies of modern datacenters. At least, that’s what I thought the story was. Exchange sessions at TechEd 2012 – Nothing much new, MEC is where the action will be (June 9). It’s difficult for the Exchange development group to get TechEd sessions as they compete with all of the other Microsoft engineering groups for slots on the agenda. Things are especially difficult when it’s a case of “same-old, same-old” and an engineering groups is in the “can’t say anything about the new release” period leading up to the first public sighting of a new product, which is the situation that the Exchange group found themselves in for TechEd US 2012. And then there’s the small matter of MEC, which I believe should publish its line-up of sessions and speakers for the relaunched Exchange conference next week. We await the news eagerly. Exchange Roll-Up Updates Are Becoming More Like Mini Service Packs (June 7). Exchange 2010 SP2 RU3 includes some important new code that eases cross-site failure conditions for clients. That all seems like great news, but this code was originally supposed to be in Exchange 2010 SP1 and was pulled at the last moment. And now it appears in a roll-up update! Dell decides not to acquire Quest (June 5). This was the original note about Dell’s pursuit of Quest that eventually produced a result for Dell on July 2. I have been wrong before and anticipate being wrong in the future! This entry was posted in Email, Exchange, Exchange 2010, Office 365, Outlook and tagged Exchange 2010, Exchange 2013, Office 365. Bookmark the permalink.